Four seasons. I wanted to create a set of weather icons (which will probably come anyway), but instead I’ve drawn this. I know they’re a little bit childish, but if you will need a nice illustration for kids’ website or find any other use for those – feel free to download. They’re drawn in vectors, so you can scale it to any size, trendy flat drawings of tree with geometric additions showing the time of the year. I am particularly proud of the robin in winter. License: they are free to be used in personal and commercial projects. Links and shares will be appreciated, but are not required. You are not allowed to sell them or give away as yours. If you want to share the goods, please link to this page. Also, you can let me know what did you do with those in comments. 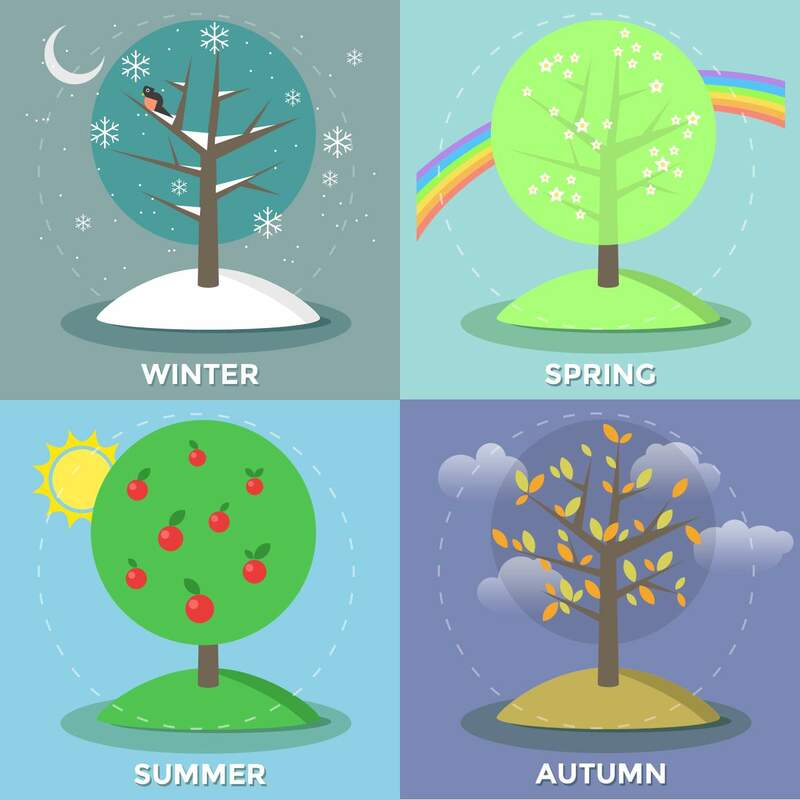 Four seasons vectors by eAnka – click to download!